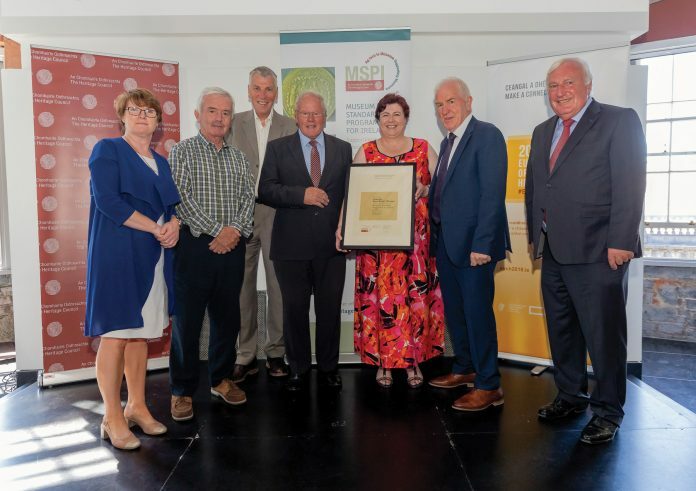 Seanchaí – Kerry Writers’ Museum, Listowel joined an exclusive club in Kerry on Tuesday July 10th when it received an award for Full Museum Accreditation under the Museum Standards Programme for Ireland, at a special ceremony in Kilkenny Castle. Seanchaí is one of four museums in Kerry who have now attained this accolade with Muckross House, Kerry County Museum and Músaem Chorca Dhuibhne. Only 32 other museums nationally have achieved all the standards. 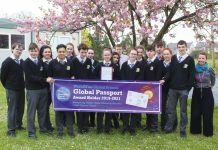 professional standards in the care of collections, the Museum Standards Programme for Ireland (MSPI) has attracted involvement across the cultural spectrum, from national institutions to small, volunteer-led organisations. While recognising the achievement of standards through accreditation, the MSPI is also about supporting the museum community as a whole. 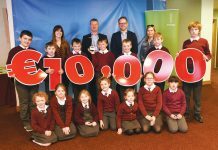 Its participants engage in a range of processes, which help to secure Ireland’s collections for future generations and to engage its visitors with what those collections have to offer. Seanchaí – Kerry Writers’ Museum joined the Programme in 2013 and has worked tirelessly over the past five years to meet the 34 standards, including caring for the collection, safeguarding the collection, exhibition & education policies and visitor care and access. It achieved interim accreditation in 2017, having met 25 standards, and has now completed work on the remaining 9 standards to achieve full accreditation. The mission of Seanchaí – Kerry Writers’ Museum is to collect, safeguard, hold in trust, display and interpret a variety of material and objects relating to the rich literary, cultural, social & political heritage of Listowel & North Kerry. It provides research opportunities and educational & cultural activities for the local community, students and its many visitors. The Museum has been collecting objects and material since it opened in 2001 & has amassed a collection of over 1,200 objects, some of which can be viewed in the writers’ rooms as part of the Museum tour. Pictured: Colette Byrne, CEO of Kilkenny Co Co; Sean McCarthy, Director of the Seanchaí; Michael Starrett, CEO of The Heritage Council; David Browne, Chairman of the Seanchaí; Cara Trant, Manager; Jimmy Deenihan, Director of the Seanchaí; Michael Parsons, Chairman of the Heritage Council.